The Shire of Esperance is a picturesque place, with a tourist industry built around pristine beaches, wetland systems rich in unique flora and fauna and three National Parks with beautiful coastal scenery. The encroachment on the town of increasing mining interests poses many concerns for the people of Esperance. In the wake of fears of long-term health impacts arising from lead and nickel contamination, some residents are understandably nervous about yet another mining industry proposing major developments in the area, particularly as the proposed Scaddan Coal Project is said to be an open cut mine. Lead exports through the port were suspended and The Department of Environment and Conservation released a study by Golder Associates in early 2010 showing levels of lead and nickel in the air, soil and water surrounding the port were not high enough to cause acute human health effects. However some concerned parents, whose children showed elevated lead levels in their blood, are still doubtful about the arguments made by the report. This controversy has left some residents of Esperance feeling uneasy about the proposed developments of new coal mines in the area and the transport of coal through the port, which has prompted some residents to investigate the health risks associated with coal mining. Blackham Resources’ proposed mine, the Scaddan Coal Project, which the company says contains world-scale coal deposits, would be the first coal mine along the south-east coast, which is recognised for its rich environmental diversity. As Greens WA member for the Mining and Pastoral region, Robin opposes the Scaddan Coal Project. The proposed coal mine would damage both the local and wider environment and as such should be opposed by the community and by the State Government for this area. Additionally, The Greens WA do not support the mining of finite fossil fuel resources for export. It is, and always been our position, to work towards a low carbon economy, and to move away from polluting industry. Robin considers that investment into polluting coal projects, which contribute to greenhouse gas emissions and global climate change, is both economically and environmentally irresponsible in our modern times. The Esperance Port is currently planning a 20 million tonne per annum expansion, with the Western Australian Government last year announcing $120 million of state funding to upgrade the Esperance Port Access Corridor. If these upgrades are purely to facilitate the export of the products of mining, this could, in effect, be seen as using public funds to support wealthy private enterprise, which oftentimes is not Australian owned. The Greens WA do not see this as an appropriate use of State Government funding, and challenge the notion that the Australian people should be contributing to the wealth of industries for whom export is the primary goal and whose financial interests are primarily offshore. While Blackham Resources has been spruiking a positive message about high rates of local employment in the region, if other mining projects around the state (in particular Port Hedland) are an indicator, an influx of workers who are not locally sourced, and the pressure they put on housing availability and affordability will have significant social impacts on the local community as well as ramifications for other industries. Additional impacts on the local community and the industries that support it should be examined in light of this proposal. 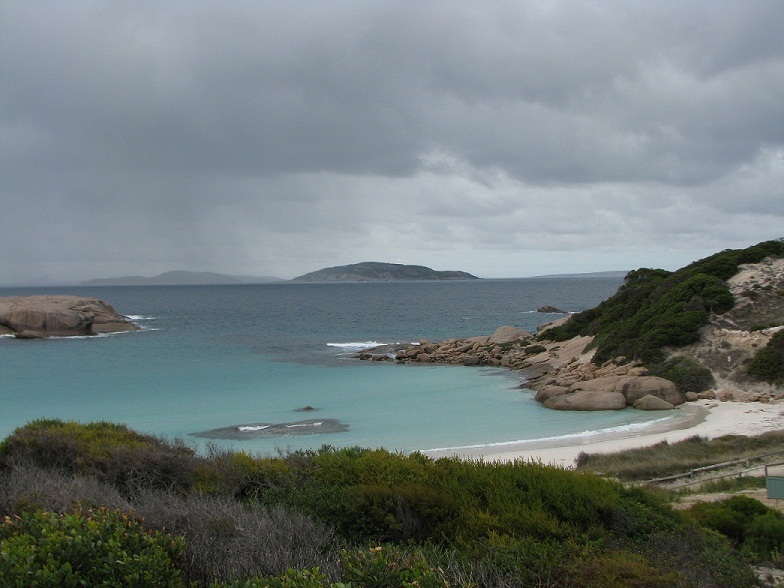 Environmental tourism opportunities in towns like Esperance will suffer as they become known as ‘mining towns’, despite their obvious natural beauty. While scoping studies of this nature might take in elements of the social and environmental impacts of these mining proposals, they cannot and do not take full account of the significant effects that mines of this magnitude, and the infrastructure expansions that must necessarily support them, will have on a community. The Greens WA do not support exploitative industry, which invests only marginally in Australian markets when compared with offshore profits and which take far more from the Australian landscape and the Australian people than is returned to the economy, society or environment.